If you find your neighbor's unshielded porch light or barnyard light annoying, then you have been directly and personally impacted by light pollution. However, light pollution goes beyond the backyard, with profound and pervasive repercussions that can affect us individually, regionally, and globally. Compared to other forms of pollution, light pollution is remarkably easy for people to address, reverse, and prevent, with a modest amount of information and action. Find out more in our Good Lighting section. All organisms, including humans, have evolved in response to their environment. In the long period before electric lights, the natural rhythms of day and night (light and dark) prevailed. Most living things follow a 24-hour cycle, mainly in response to light and dark. The biological changes that occur throughout this cycle are called "circadian rhythms." Circadian rhythms are regulated by the brain, directed by genes, and triggered by lightor the absence of it. The circadian rhythm you are probably most familiar with is your sleep-wake cycle. Our efforts to light up the night, with even the best of intentions, interfere with the natural cycle of dark and light. Disruptions to human circadian rhythms are linked to sleep disorders, diabetes, and depression. Exposure to artificial light at night is associated with an increased risk of breast cancer. Since our sleep patterns are so important to our overall health, we need to ensure they are not disrupted by artificial light. Residential, commercial, and municipal lighting that trespasses into our homes at night infringes on our right to healthy living spaces. The blinding effect of unshielded and/or poorly aimed lights near roadways is at best, disturbing, and at worst, unbearable. Visual impairment from glare puts not only motorists but also pedestrians at risk. A 2012 report of the American Medical Association (AMA) states: "
can create unsafe driving conditions, especially for older drivers." As we age, our eyes undergo normal physical changes, and driving at night becomes more challenging. Our pupils dilate and contract in response to dark and light at a slower pace, our corneas thicken, and our lenses become cloudy and less elastic. These conditions result in reduced focus and contrast, coupled with a light scattering effect that interferes with the images forming on our retinas. Because of the natural vision changes that begin around age 40, mature drivers take longer to recover from exposure to glare, and are therefore at higher risk when poor design and placement of roadway lighting create glare. 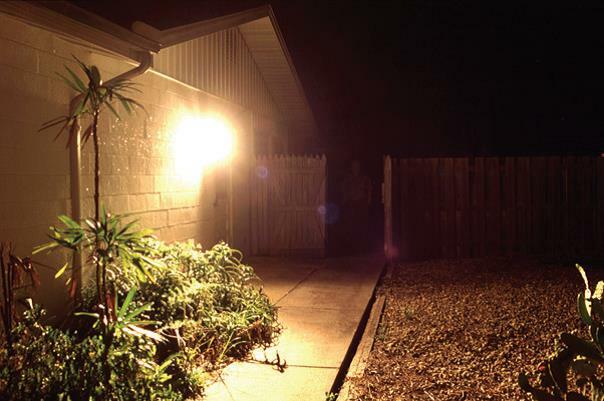 The appeal of security lighting fixtures rests on the likelihood that people feel safer at night in well-lit areas, whether or not they actually are safer. The jury is still out on whether or not security lighting is a deterrent to crime against persons and property. It may be that night lighting simply enables criminals by better illuminating their targets. Regardless, if the goal of security lighting is better visibility, much of it misses the mark. And badly executed security lighting can do more harm than good. 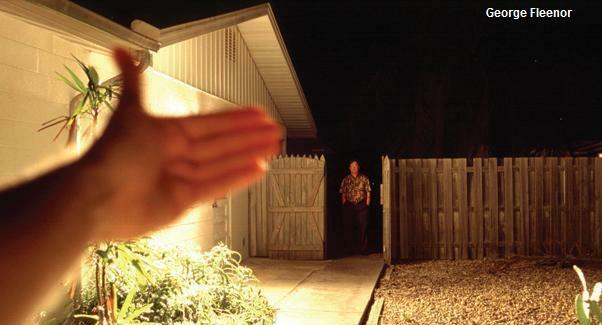 Outdoor lights that are unshielded, too bright, and/or poorly aimed create both uncomfortable glare and areas of deep shadow where criminals can lurk unseen. Effective night lighting requires light directed only toward the ground and uniform illumination levels that don't undermine our natural night vision. In contrast, security lights that create dramatically different areas of light and shadowand blind us just when we most need to seecompromise our safety. We routinely install light fixtures, replace light bulbs, and flip switches, and light happens as if by magic. Rarely in our use of light do we feel limited, think about it as a finite resource, or consider any consequences. Lighting seems like a low-impact use of energy. But those light bulbs add up fast. 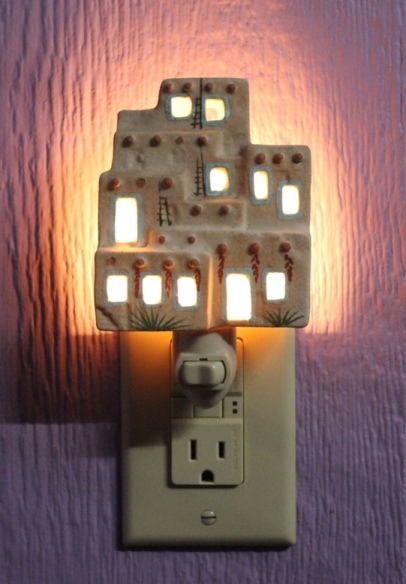 The U.S. Energy Information Administration estimates that lighting is third in the end uses of residential electricity consumption, after space cooling and water heating. Plus, the residential and commercial sectors combined use 10% of their total electricity consumption on lighting. With around 65% of electricity in the U.S. still generated from fossil fuels, it is illogical to think the lighting choices we make are insignificant with respect to overall energy efficiency, cost, sustainability, and environmental impact. Light pollution is the result of excessive or inappropriate use of artificial lighting at night, in other words, wasteful practices. Light pollution is a direct consequence of our extravagance with light. Continued use of obsolete, unshielded light fixtures and excessively bright lamps perpetuates energy waste and contributes to unnecessary energy costs (in billions of dollars) and carbon emissions (in millions of tons). Humans are not the only species that relies upon the natural rhythms of day and night, light and dark. But we are the only species that disrupts that cycle with artificial lighting. Along for the ride are our fellow passengers on planet Earth, the host of ill-fated creatures threatened by our lighting of the night. Just how many species are impacted is yet unknown. Ongoing research worldwide continues to reveal disruptionssometimes fatalto a diverse group of animals, including marine turtles, fireflies, salamanders, ocean salmon, and tree frogs, and, of particular concern to New Mexicans, migrating species such as birds and monarch butterflies. New Mexico is located on the Central Flyway, an important bird migration corridor. 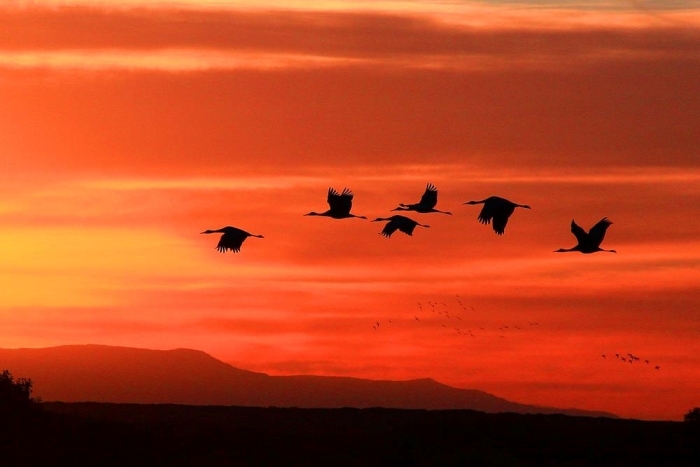 Birds that migrate at night have been shown to rely on subtle light cues such as starlight and sunrise/sunset twilight glow to orient them on their journey. When we direct exterior lighting up into the sky, we interfere with those light cues. In addition, migrating birds are attracted to and disoriented by illuminated buildings, particularly when their path takes them through urban areas at night. Their confusion leads to many fatal collisions with windows. A 2014 federal study estimates that, in the U.S. alone, hundreds of millions of birds are killed annually by collisions with buildings, mostly low-rises four to 11 stories tall. ♦ New Mexico's natural beauty, wide open spaces, and atmospheric clarity are an integral part of its value as a tourism destination. Increased light pollution will degrade its reputation as a stargazing and night photography destination, a bird-friendly destination, and a wilderness destination. ♦ A star-spangled night sky contributes to New Mexico's rural character and its scenic appeal. Conversely, a landscape littered with excessively bright, unshielded, and poorly aimed lightsand accompanied by a washed-out skylooks trashy. There is nothing enchanting about urban blight. ♦ The night sky is our cultural link to the past and the future. 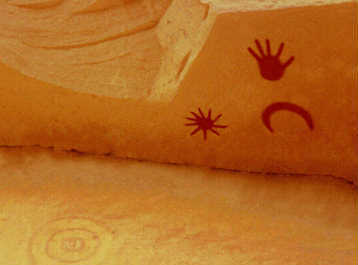 It connects us to the ancestral people of New Mexico, skilled sky-watchers who memorialized their celestial knowledge in massive stone buildings, carvings, and rock paintings. One thousand years later, our hope for our children and the generations to come is for them to have access to that same unspoiled sky: to be inspired by it, to learn about their place in the universe, to wonder. Although perhaps the smallest group of New Mexicans impacted by light pollution, astronomersboth professional and amateurare nevertheless a key group, for two compelling reasons. First, astronomers are the canary in the coalmine. Their business/pastime is observing and imaging the night sky, so they are the first to notice subtle changes in sky brightness caused by man-made light sources, as well as the first to sound the alarm. Second, their work is critically impacted by light pollution. An overall increase in night sky brightness interferes with astronomers' ability to study faint, distant objects, such as those that reveal clues about the early universe. Equally problematic is night lighting that produces too wide a range of colors for astronomers to filter out; these include metal halide, mercury vapor, and incandescent bulbs. Fortunately, light pollution does not impact radio astronomers, such as those who study the universe using the Very Large Array west of Magdalena. However, facilities like Apache Point Observatory near Cloudcroft and the Magdalena Ridge Observatory near Socorro do important visual astronomy that is only possible under dark skies.